If you are a ‘not for profit’ community organisation and wish to let our listeners know about your services or special events, then contact us and let us know the what, where, when, where and why and a land-line telephone contact number. For events please let us know well in advance so that we can give them plenty of “air” time or put them on this page. 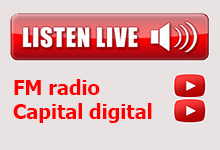 Capital Radio and WTV have had a community-based affinity since 2010, with a shared commitment to providing entertainment, information and musical programmes to the people of the Greater Perth Area and beyond. The organisation supports students at the WA Academy of Performing Arts at ECU Mt Lawley. Membership is open to all regardless of age. Currently there are 600 members over 55, 245 couples, and 80 Families (2 adults and 2 children). All membership fees go directly to support students in their efforts to gain employment within the Arts industry, both in Australia and overseas. Members of the Friends enjoy discounted tickets to WAAPA performances, priority bookings, chances to meet and mingle with performers from Theatre, Music Theatre, Dance Contemporary Music, Classical Music and Singers from all genres. 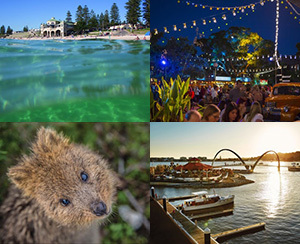 For information on FREE events and things to do in Perth and surrounds, please go to the Tourism Western Australia website.